Beans are an awesome source of nutrition whether you’re vegan or not. But…they aren’t perfect. You shouldn’t rely on them for all your protein needs, because as we’ll see, beans are deficient in certain types of amino acids. Using detailed data from the USDA’s food database, I extracted the amount of each essential amino acid in the most common beans. First, we’ll look at them altogether to spot some trends, then break down each bean one at a time. This section alone will probably contain the answers you were most looking for when you stumbled across this post. The RDA for all amino acids is in terms of mg per kg of bodyweight. So it’s different for everyone. By using a 70 kg (154 lb) person as an example, I calculated the number of servings for each type of bean to meet the RDA of each essential amino acid. All servings are 1 cup of cooked beans. I applied some basic conditional formatting to the results where green means that it requires few servings, red requires many servings. All beans have a lot of tryptophan, threonine, and histidine. All beans have low amounts of methionine. Many beans (but not all) have low amounts of leucine and valine. Fava beans have a low amount of protein overall, and a low amount of all amino acids. Regardless of which beans you eat often, you need to find a better source of methionine. I’ve compiled the top 30 vegan sources of methionine in another post. But leucine and valine depend heavily on which types of beans you eat. You should be able to see from the image if the beans you eat are low in those two and whether or need alternative sources. The 30 best vegan sources of leucine. The 30 best vegan sources of valine. If you can’t tell from the image alone, scroll down to each bean’s individual section below that you’re concerned about. I’ll start with soybeans, as soy products are the most popular. While products like tofu and tempeh might not have the exact same amino acid profile, it should be similar. For almost all amino acids, it takes only 1-2 servings of 1 cup of soybeans to reach the RDA for a 70 kg person, which is great. The only weak point, as with every other type of bean, is methionine. It takes about 4 servings of soybeans to hit the RDA for methionine, which is quite a lot. Overall, soybeans have one of the best bean amino acid profiles. My personal favorite bean to pair with rice, let’s take a look at the amino acid profile of kidney beans. Again, weak in methionine (needs about 4 servings to hit RDA), but all other amino acid RDAs can be met with about 2 servings of kidney beans. The only exception is that it takes ~2.5 servings to hit the valine RDA. Black beans are a very common type of legume to include in vegan recipes. Black beans have a very similar amino acid profile to kidney beans. Most amino acid RDAs are met within 2 servings, but valine needs a little more (again about 2.5 servings). As with all beans, there is a low amount of methionine. Navy beans are frequently used in BBQ bean recipes. Navy beans have arguably the most balanced amino acid profile of all the beans. It takes right around 2 servings to meet all RDAs with the typical exception of methionine. Even the harder to get amino acids, like valine and leucine, are found in decent amounts (takes about 2 servings to reach the RDA). But the methionine content is lower than the other beans we’ve looked at so far. That shouldn’t be a big deal because you should be getting methionine from other sources. Here’s the amino acid profile for mung beans. It’s a little low in leucine and valine than the more popular beans, requiring almost 3 servings to meet the RDA. It’s methionine content is also on the low side relative to most other beans. Compared to other foods in general, they’re still good nutritionally, but other beans are almost always a better choice. Fava beans take more than 2 servings to reach the RDA in tryptophan, isoleucine, leucine, lysine, methionine, phenylalanine, valine, and histidine. It also has one of the weakest overall profiles. It’s low in leucine, lysine, methionine, phenylalanine, and valine. It’s still good to add to meals, but I wouldn’t heavily rely on it over other beans if possible. I didn’t realize until after I originally published this that I also should have included lentils on the list. So here is essential amino acid profile of lentils, better late than never. Lentils have a similar profile to all other legumes. Most RDAs can be reached in 2-3 cups of cooked lentils, but they’re quite low in methionine. Another one I forgot was chickpeas, despite it being the bean that I eat the most myself. As expected, they follow the same trends as most other beans. Decent for most amino acids, but very low in methionine. However, they’re also relatively low in leucine, and phenylalanine compared to other legumes. You can reach your RDA for most essential acids with 2-3 servings of most beans. The exception is that certain beans are low in valine and leucine, and that all beans are low in methionine. 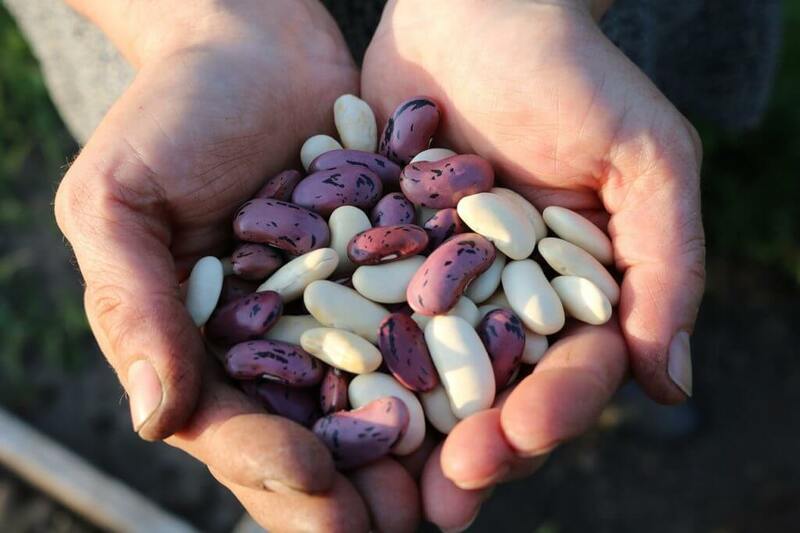 The best beans overall are soybeans, followed by kidney, black, navy, and adzuki beans, which all have similar amino acid profiles. Fava and lima beans had by far the weakest amino acid profiles, with mung beans not too far behind. If you want to diversify your protein sources, here’s a list of the best vegan sources of protein. Thanks for the article and for the other faqs! It is super useful for planing a diet without supplements. Am I getting right that the numbers under the amino acids’ names in the first table are the amounts of servings needed to cover the RDA but not grams (g) as stated in the header of the table? Great point Mark, you’re the first to catch that mistake – whoops! You are indeed correct, it’s number of servings, those headings should not have grams in them. For anyone confused by this comment, I’ve updated the image so that it’s correct. Thank you for this useful information. Where did you get it from? I’d like to look up the amino acid profile of cereals too so I can work out good protein combining for a vegan diet. If you can advise on where to get that info, or whether someone has already done it that would be amazing! All data here came from the USDA’s food database. There isn’t amino acid data for all foods, but you can certainly give it a try. Hi Dale, is there a mistake or the values for the lentils and garbanzo beans are the same? Good catch Pao! Not sure how that happened. I’ve updated the values (the lentils were wrong), thanks for pointing it out. Can A Vegan Diet Lead to Brain Shrinkage?